I am a chip and dip girl. I cannot deny it- I love the combination! A salty crispy chip, maybe a little greasy, plunged into a bowl of delicious dip-is there anything better? I love how many types of dips there are too! There are creamy, acidic, spicy, good for you, BAD for you, cheesy, creative and old stand by's. As much as I love every combination of the above types, there is one that always towers above the rest for me. It's light texture, pretty color, unique acidity, and inherent spice picks me up and shoots me into rapture with every bite. What is this heavenly dip you ask? Salsa Verde, of course! The primary ingredient for Salsa Verde is the Tomatillo- a funny looking fruit, in the same family as the tomato, but a personality all it's own! I'm sure you've seen tomatillos in the store- they may look a little alien with their brown flaky husks covering their bright green skin. These guys, a staple in Mexican cooking, sit, all stacked together, like a fruit from a different land, and very often have been abandoned by a less than attentive store clerk and bear no indicator as to their identity. Fear not though, select a few of these fun fruits and a delicious salsa can be yours in moments. Preheat the oven to 400 degrees, and line a lipped baking dish with tin foil. place the Tomatillos, garlic, onion, and jalapenos on the dish, in a single layer. Drizzle olive oil over the top, sprinkle with salt and pepper and toss to coat. Roast in the oven for about 15 minutes or until the Tomatillos are soft and the ingredients fragrant. Transfer the contents of the pan, including any drippings (not including the tin foil) to a food processor. Add a handful of fresh cilantro, a pinch of cayenne and a pinch of paprika, blend until all of the chunks have been pureed. Taste, season to your liking with more spices, cilantro, salt or pepper. 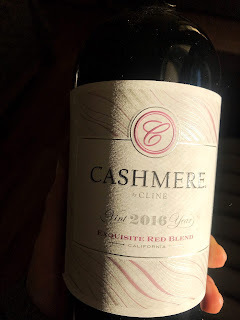 Blend, taste and add until the flavor is perfect for you- to me this is bright, acidic, spicy and garlicky all at once. Serve with your favorite tortilla chips, or as a topping for tacos, enchiladas, burritos, and omelets. Ah, i looove salsa verde. It's great on chips and for enchiladas. Thanks for the recipe! This was incredible! I had the pleasure of ending up with a plastic container full of this in my fridge (thanks!) and thought it was pure bliss when spooned over some cheesy scrambled eggs. Am TOTALLY making this, and soon! OMG! You just don't know how your blog made me so hungry. I am a fan of tomato, but with tomatillo, I have always seen them on market and i thought it was just a tomato. And now I gotta grab some tomatillo and try your salsa verde. 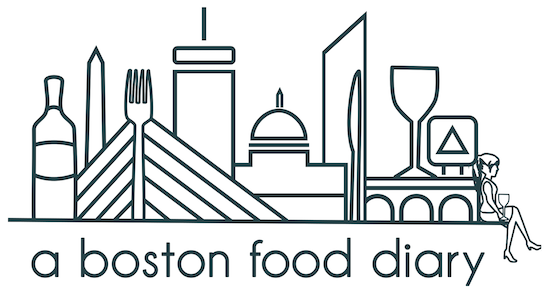 Breaking News: A Boston Food Diary Turns 3!! Tashi Delek: A Journey to Tibet?